We admit we’re cheating a little bit in this issue of the Employee Spotlight as we usually prefer to highlight a single employee. 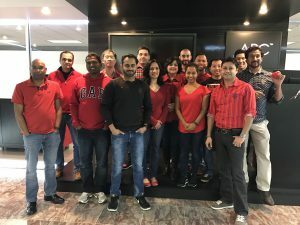 But we’ve made an exception in order to celebrate all the wonderful employees that wore red clothing in support of the American Heart Association’s (AHA) “Go Red for Women” campaign. For every employee that wore red, ARC made a donation to the American Heart Association as well as provided support in the form of banners, posters, and flyers that communicate valuable health information to customers. All “Go Red” donations help millions of Americans that live with disease, stroke, or a cardiovascular condition. Notably, the AHA’s “Go Red” program has saved 627,000 women in the last 10 years. We’re proud to announce that 542 employees participated in the “Go Red” campaign. Thank you to all who participated. Your active support has driven efforts to ensure heart disease in women is treated, prevented, and even ended. Find out more about the American Heart Association’s “Go Red for Women” program here. David has been with ARC since nearly the beginning. 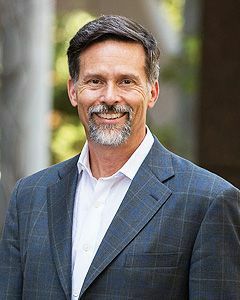 During his time at the company, he's provided his business communication, public relations, marketing consulting, and, of course, investor relations expertise. He holds a degree in journalism from the University of Missouri in Kansas City.